♦ Online News! Eden and her fellow Smutketeers are hosting one of the most amazing blog events ever! 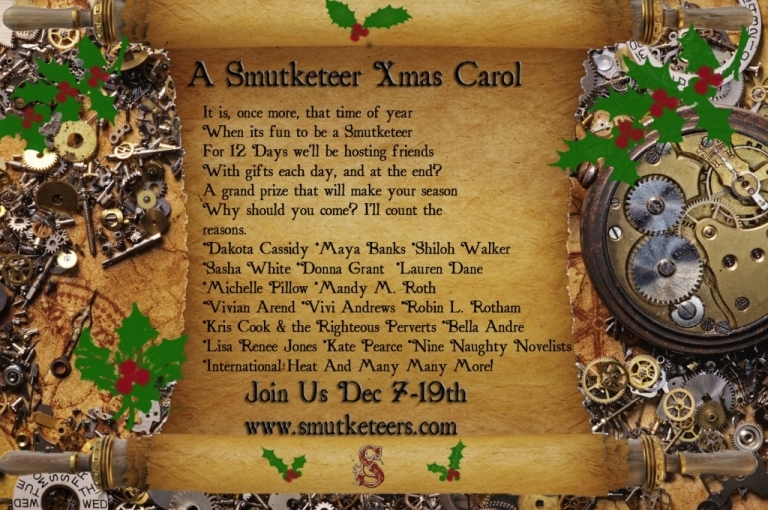 Literally dozens of authors will be visiting the Smutketeers blog in December for their annual Xmas event. Tons of giveaways, excerpts, holiday wishes from your favorite authors and more!